It is made from the common pumpkin - curcurbita pepo - and although it is used by some people orally for the treatment of urinary tract infections, it also makes a great addition to a carrier oil mix. Pumpkin seed oil has great healing qualities for skin problems such as sores and ulcers which makes it a good choice to include when mixing a massage oil or preparing a carrier oil blend. Pumpkin seed oil can be classified as a "specialty" carrier oil, some aromatherapists like to use it since it is high in protein, zinc as well as polyunsaturated fats. 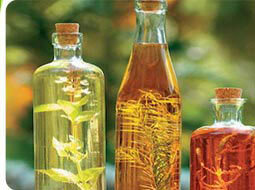 Pumpkin seed oil is extracted by the process of Steam Distillation. Myristic, palmitic acid and unsaturated fatty acids. 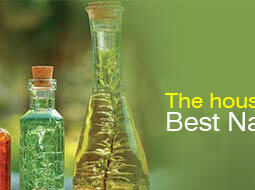 Pumpkin seed oil is highly embedded with fatty acids and antioxidants. The gamma tocopherol a form of vitamin E is the main property that makes pumpkin seed oil very effective antioxidants. 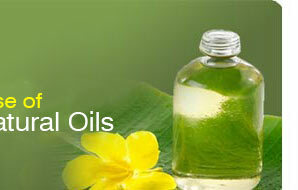 It is widely used in Making of Soft Gel Capsules. Pumpkin Seed Oil is Pharmaceutical natural aphrodisiac, prevent arteriosclerosis and regulate cholesterol levels, treatment of benign prostatic hyperplasia treat irritable bowel syndrome, anti-inflammatory properties. Miner depression, rid of stresses, insomnia, stop kidney stones, Prevent arteries from hardening, Help with bladder problems, relieve headaches and muscle aches and pains, soft gel capsules. Food: serves as a salad dressing when combined with honey or olive oil, cooking oil Cosmetics: preventing stretch marks, anti aging regime, dandruff, weight management efforts, smooth skin, good massage oil. 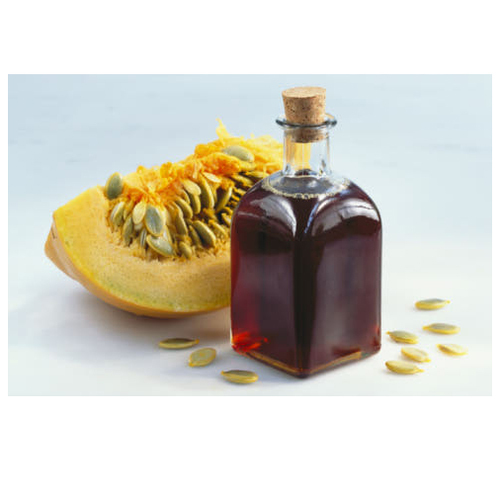 Pumpkin seed oil is obtained from the seeds of Cucurbita pepo. It is prepared by pressing roasted hulled pumpkin seeds. The viscous oil is light to very dark green to dark red in colour depending on the thickness of the observed sample. Pumpkin seed is traditionally used to treat a wide variety of illnesses, a Internal use Pumpkin seed is traditionally used to treat a wide variety of illnesses, and through scientific investigation most of the properties have been validated. Chemical Composition Myristic, Palmitic acid and Unsaturated fatty acids.